Home Painting and Decorating for the discerning individual! Bring your house in or call us for a Quote and we'll come out to you. 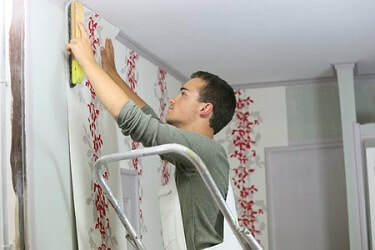 For personalized indoor painting with an eye for pizzazz, polished drywall smoothness and exacting lines, contact us today. We are ready to provide a free consultation and estimate for your consideration. 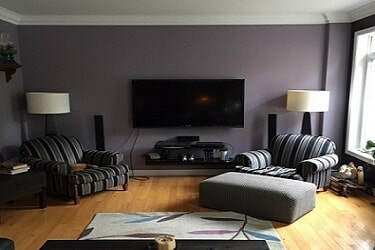 As one of the most dedicated painting companies, we will work tirelessly to paint the best setting possible according to your specifications and vision. On a good day, we enjoy painting paint plaids and spots too. For more interior paint ideas. 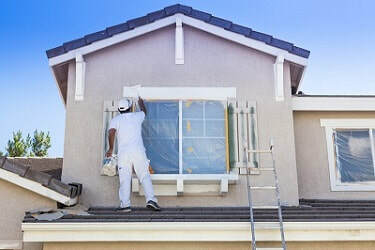 Exterior house painting jobs can be taxing on the family if not done carefully and quickly. We have the proper equipment, materials and experience to make your exterior redo extraordinary. Every five years or so you should consider it time to buff up the curb appeal and protect your investment and consider a rejuvenation of weathered doors, windows frames, eaves gutters, spouts, and trim. Visit Exteriors and exteriors we paint. No time like the present to get creative. Wallpaper is so much fun now with motifs reflecting personal interests, age old Victorian looks and modern patterns, sports motifs, textured surface relief and colors from off whites to intense bright hues. What about paint finishes outside the ordinary. Check out faux finishes that may be suited to a certain bedroom or the dining room and our popcorn ceiling removal as well..